The dog days of summer are baying in their kennels, just waiting to get out. 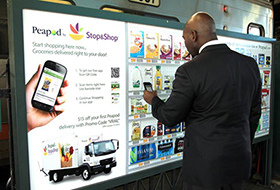 The first day of summer is just weeks away, and it's coming in hot — but digital signage can help keep the summer heat at bay with cool customer experiences and creative engagements. One of the more interesting advantages digital or dynamic signage has over its static predecessors is perhaps the most obvious and most simple thing that can be said about it: It can change. That ability to change opens up a whole new cool front of opportunities. If the sign's content is set to change depending on the weather (not exactly rocket science to set up) then digital signage can offer or advertise products or engagements that are even more than timely. 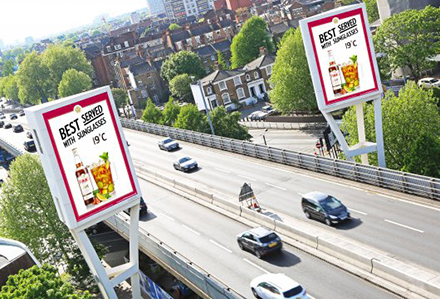 Ocean Outdoor in the U.K., for instance, is rolling out a temperature-reactive campaign this summer that advertises fruity cocktails anytime the mercury rises above a certain point, and that's just the tip of the iceberg. 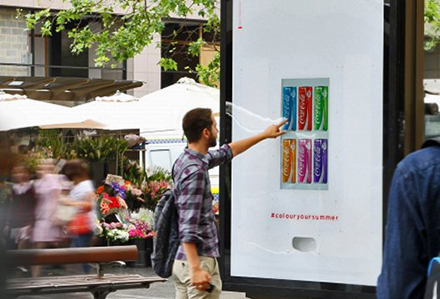 Imagine offering ice-cold Cokes in a summer promotion; digital signage has been there and done that (More than once!). "I think weather-responsive advertising could soon be one of those buzzwords that we get sick of hearing," Scott Slucher, the new executive director of the new Interactive Customer Experience Association (formerly the Digital Screenmedia Association), said in a recent email, "but for now, it's a great opportunity for enterprising marketers." According to Slucher, there are emerging solutions, such as Weather Unlocked's WeatherTrigger, that claim to easily integrate with current automation and demand platforms to give advertisers an improvisational capacity for delivering specific ads that can adapt to fickle weather patterns. "For example, let's say you're traveling in Seattle and you get caught out in the rain," he said. "You're huddled under some overhang, cursing yourself for forgetting a raincoat when you see a digital sign on the side of bus stop telling you to text 'RAIN' to some number to get a discount on a Gore-Tex jacket at a nearby REI store. You send the text and receive a coupon and a map, and before you know it, you're walking around Seattle, warm and dry. "A few hours later, let's say the rain has stopped and it's supposed to be dry for the next few days. Perhaps the same DOOH network that served the REI ad switches that one for an ad for one of the local ferries, advertising the joys of exploring a nearby island sanctuary. 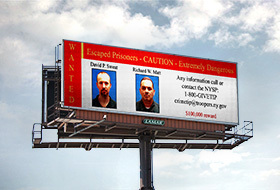 This might appeal to tourists looking for something to do." Those are tantalizing possibilities for creative engagements in interesting and novel places, but there also are plenty of possibilities to be taken advantage of in more mundane settings. Grocery stores, c-stores and big-box retailers such as Target or Walmart also could employ in-store signage that changes based on the weather report to sell more sodas, beer and sunscreen on sunny days, or umbrellas, raincoats and galoshes on rainy ones. "The possibilities are nearly endless," Slucher said, "and with DOOH networks gaining in sophistication, weather-responsive advertising has a huge upside."